Year 8 to 10 at Key Stage 3 (KS3) follow the new Northern Ireland Curriculum. 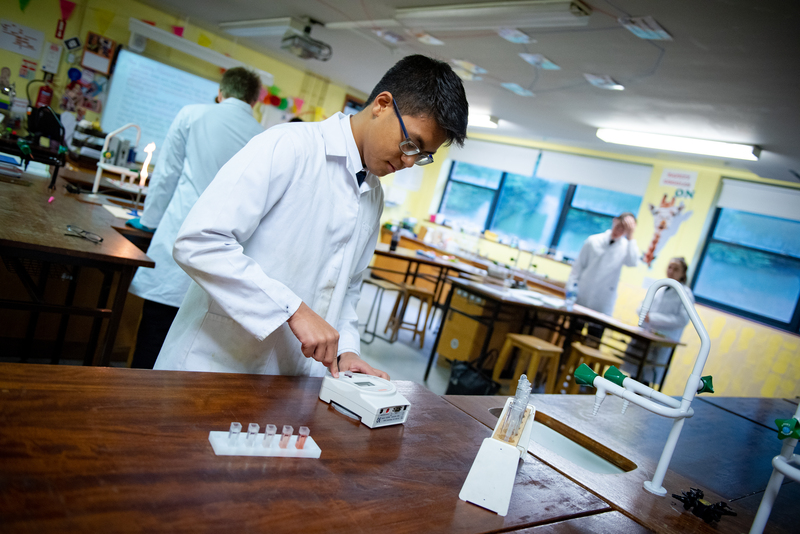 Schemes of work are thematic with links to everyday life, careers in Science and other subjects across the curriculum. The Key Elements are addressed throughout the schemes and there is a strong emphasis on Thinking Skills and Personal Capabilities in lessons and assessments. Opportunities in Communication, Using Maths and ICT are also addressed in lessons and assessed through challenge tasks. Linked with Technology Department, pupils make cars and test on different surfaces to investigate friction. Biology – Water Pollution Project including podcasting and using Audacity software to record a radio broadcast. This course is aimed at pupils interested in the farming industry. Progression from this course would be our new OCR BTEC Agriculture, further progression to places such as Greenmont or Harper Adams. Horticulture – This specification is designed to develop practical skills. It is particularly suitable for those considering careers in horticultural industries eg floristry, organic/market gardening etc. 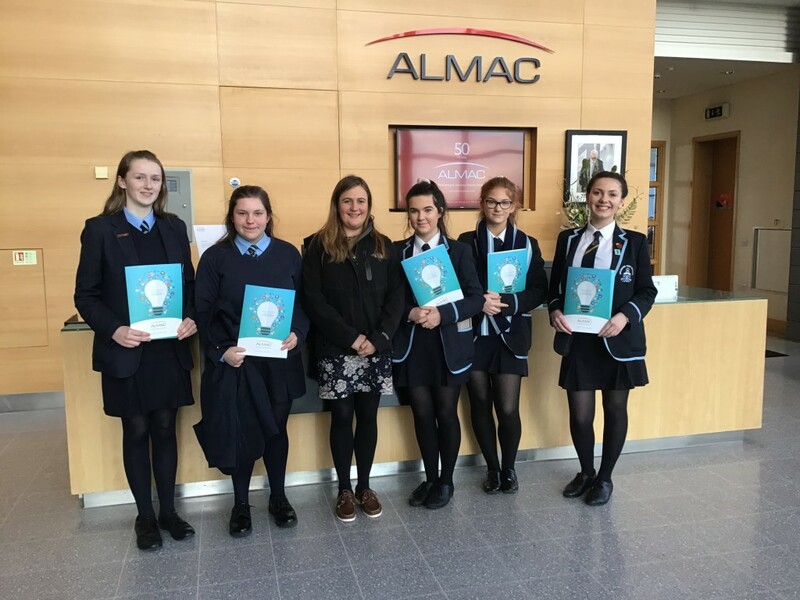 “A group of Year 13 and Year 12 Chemistry Students enjoyed a trip to Almac on Tuesday 29th January. 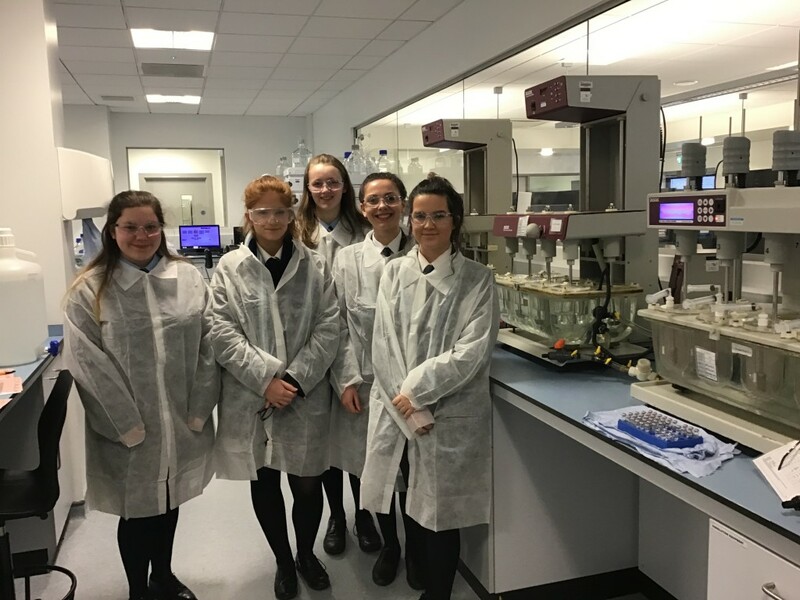 It was a fantastic day providing the pupils with a valuable insight into many different STEM careers followed by a tour of the laboratory. Thanks to the team at Almac for their hospitality. It’s great to see a local company embracing and inspiring the next generation of young scientists. Rebecca Girvin “I enjoyed learning about all the different sectors that Almac has. It was interesting to see how closely STEM subjects relate to the different career options”. Sarah Hughes “I enjoyed learning about how what we do in class relates to industrial Chemistry”. Was there a career option that interested you today? Sarah Hughes “Process development, I think that sounds interesting. Although I am looking into other career options too such as Medicine”.